Barco Residential brings the pinnacle of image and sound technology to the high-end home environment. Together with our partners, we create unique experiences to be shared with loved ones in the world’s most exquisite homes and yachts. We’ve painstakingly designed a cutting-edge, digital platform that delivers on the total hi-res audio experience. We didn’t create it for us. We made it for you. Our audio reproduction reflects music that is true to the artist and the art form. Add Internet radio and online streaming services to the mix, and your musical library will be the envy of everyone around you. Sound good? We think so, and the critics do too. Elite Screens offers an extensive range of roll up projector screens that are manufactured using the industry’s leading cutting-edge technology! These projection screen formats include manual, electric motorized, floor rising, in-ceiling, portable, and outdoor movie projection screens. Whether you are trying to create an elegant conference room or craft the ultimate home theater, Elite Screens is guaranteed to have the best solution for you! 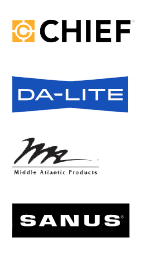 Elite has invested in the research and development necessary to produce and maintain their various lines of award-winning product. Demonstrating ELAC’s technology leadership is as simple as playing the music. Once you hear an ELAC product, you’ll understand our commitment to state-of-the-art sound. That is why ELAC products continue to win awards worldwide. Whether it is one of our many loudspeakers, the ELAC subwoofer app or one of the latest ELAC electronics, every ELAC product combines brilliant engineering, superior parts and dedicated skill in manufacturing. Esoteric is the leading brand of Audiophile grade 2 channel Amplifiers, Transports and DAC’s. Fortress Seating manufacturers a complete line of Home Theater Seating for every budget and every project. 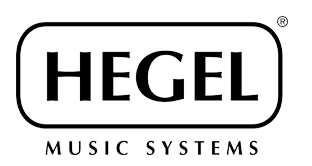 Hegel is one of the best established brands in Hi-Fi market, producing integrated, pre and power amplifiers as well as CD players and some of the most modern and sophisticated C/A converters. IC Realtime is a leading digital surveillance manufacturer serving the residential, commercial government, and military security markets. With an expansive product portfolio of surveillance solutions, IC Realtime innovates, distributes, and supports global video technology. Our mission is unique: In addition to building components that home theater enthusiasts love, we’re also out to design and create components that set new standards for system integration, upgrade capability and multi-zone expansion. Since 1977, Meridian Audio has been crafting innovative, elegant, high performance audio solutions. From its flagship DSP loudspeakers with integrated amplification, to its discreet and powerful range of in-wall loudspeakers, Meridian delivers easy to install, high resolution audio systems for home cinemas and whole home solutions. Bundling proprietary technologies and innovations with other sound-enhancing exclusives, Onkyo continues to create award-winning products that are championed by many industry-leading audio specialists and professionals. Top of Class Audio Reproduction. The World’s First Turnkey Home Entertainment Solution. Simple to order. Simple to Install. Simple to Use. Roon is architected differently than most audio systems out there. Roon consists of a single core and as many controls and outputs as you need. Roon streams formats up to 384kHz/24-bit PCM and DSD256 to Roon Ready devices, and intelligently converts audio to the optimal resolution for other devices.